Looking to achieve the time-lapse "holy grail" with your motion control gear? You are in luck! GBTimelapse 3.10 has added several features focused on achieving the elusive sunset, sunrise and overnight "holy grail." Read on! GBT version 3.10 adds several new Master/Slave modes. These new modes enable you to get GBT’s Holy Grail AutoRamp power with virtually any motion control device! Adds even greater compatibility with the eMotimo TB3 Black. Adds the ability to synchronize multiple cameras connected on multiple computers (more about this in future posts). Uses third axis for slider control (Rhino, Dynamic Perception or any other stepper). or optionally use GBTimelapse control panel to setup all parameters for 2 and 3-point moves. Enter TB3 mid and end-point Pan/Tilt positions precise degrees and slider position in inches or metric units. No need to move the slider to the end-point, just type in its end value. Save and Load all TB3 parameters from the computer for repeatability later. 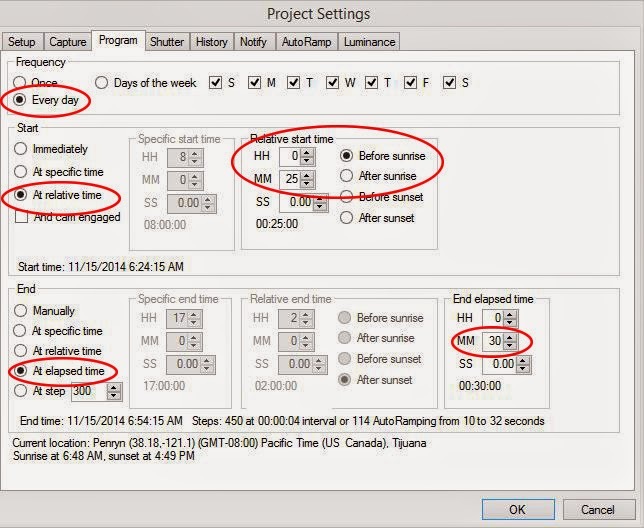 Use GBTimelapse to schedule time-lapse start at a later time for unattended operation. Uses GBTimelapse Holy Grail AutoRamp for bulb ramping and ISO control in changing light or day/night transitions. Use GBTimelapse live-view screen for precise alignment of start and end points. Use GBTimelapse history screen to see progress during a time-lapse session. A few nights ago we took brought out the equipment and took advantage of a great night sky. Using GBTimelapse and an eMotimo TB3 we shot an automatic aperture pull/ramp for a seamless day-to-night shot. 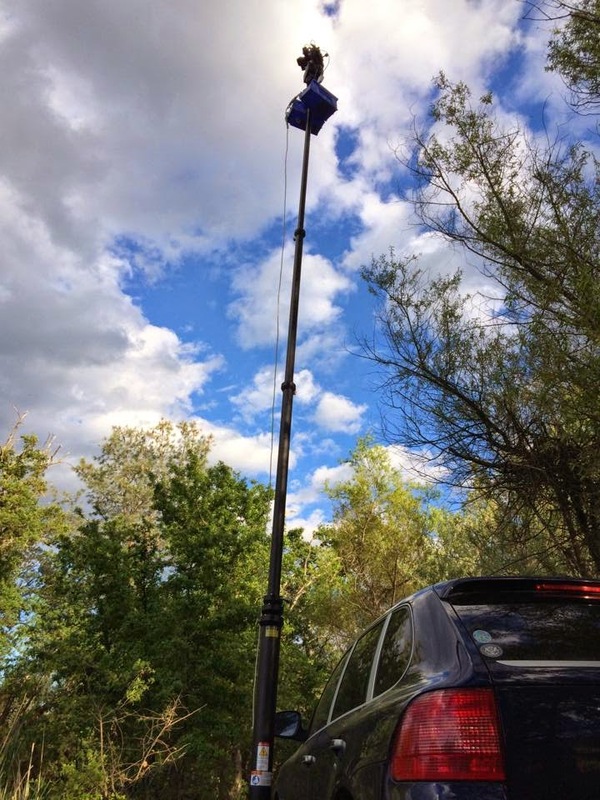 In the video posted below you can see the eMotimo TB3 tied to the camera and the video produced, flicker-free from daylight hours into deep night. 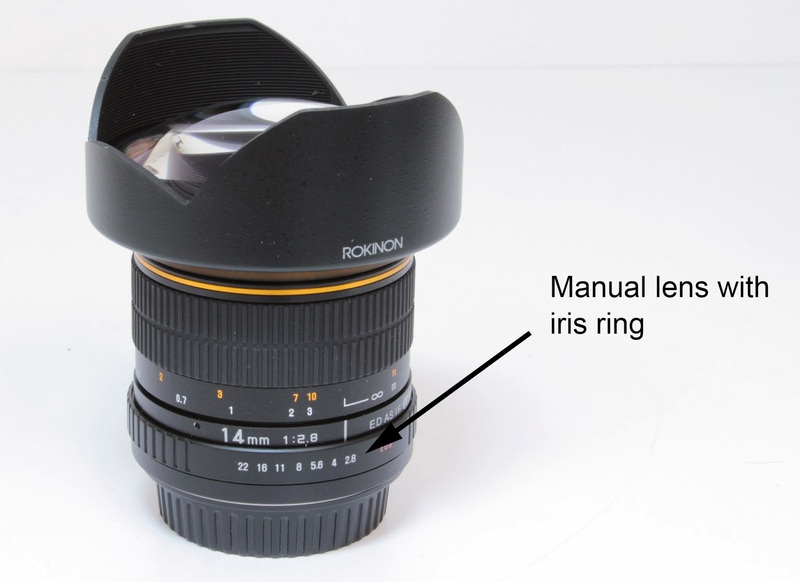 The aperture is listed on screen to see the process in action. 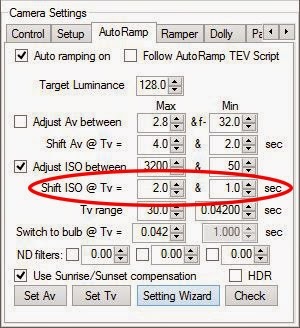 If you would like to read more about the technical details look back at these posts: Eliminate Flicker and GBTimelapse/eMotimo Aperture Ramping. Stick around after the video to see an explanation of the aperture pull/ramp. GBTimelapse Aperture Pull In Action from Granite Bay Software on Vimeo. 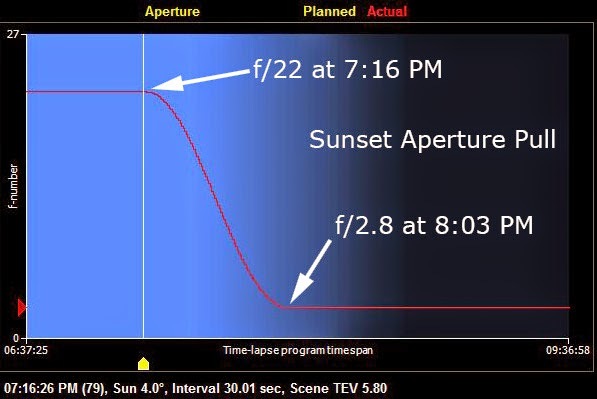 The figure above shows how the aperture was smoothly ramped from f/22 when the sun was 4° above the horizon to f/2.8 when the sun was 5° below the horizon during twilight. You can specify the start and stop points as well as the curve to follow, (linear, logarithmic, or cosine as shown here). I like to use the cosine curve because the gradual change at low f-numbers makes lens vignetting changes less noticeable. The ESO Ultra HD Expedition (read: GBS Sponsors ESO Ultra) continues with great surprises around every corner. Leader Christoph Malin posted to Facebook Wednesday morning additional photos of the project underway. Above is one of the recent stills taken, pre edit, where Malin explains, "I am extremely happy with this frame out of a time-lapse... Lucky imaging ;) Big grin. These are the nice moments where the Universe says, "OK, you worked hard, so here's a fireball". As well as Mars and Spica are rising up the Horizon. Can't wait to process this TL, there are some in the backlog ;)"
From Malin's blog: "Christoph set up his equipment in the meantime. His equipment ran independently throughout the night allowing his “TimeLapse Bots” do the work – an autonomous GBTimelapse Rig, using Intecro XTPower powerbanks for powering a Emotimo TB3 motion control and a Canon 6D. Using this easy-to-use and intuitive set-up of equipment really extends our creative possibilities. 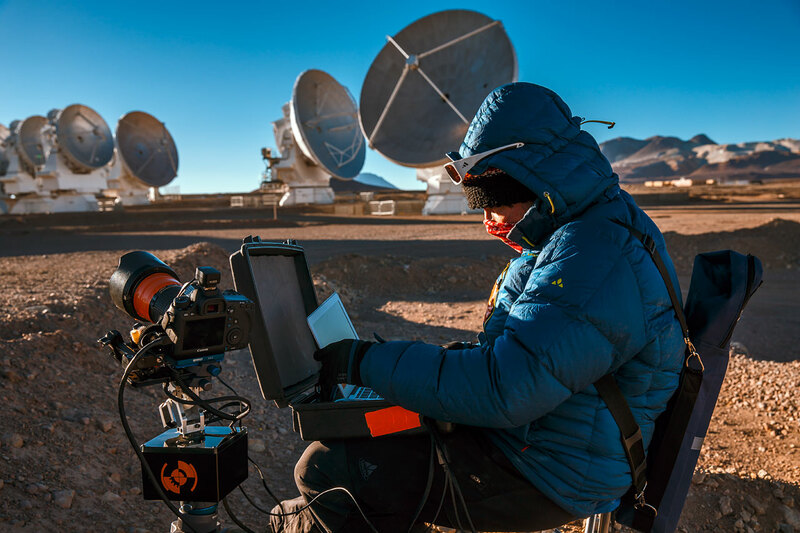 It has been the perfect addition to our equipment collection since it allows us to get slow slides, tilts and pans into our time-lapses as the stars move over ALMA. They are so versatile and take all the dust from the desert." It looks like his rigs, that he refers to as his "bots" (read: Malin on Time Lapse Front) are working as designed. Good luck to Malin as the expedition continues. We will keep bringing you fresh information as it comes in. Granite Bay Software is located on the outskirts of Sacramento and loves to see our city in the spotlight. Posted two days ago and already a Vimeo Staff Pick, Sacramento Timelapse by Justin Majeczky is a stunning example. Justin only recently moved to the area and saw the beauty of what the region has to offer. His talents allowed him to show off the city and the surrounding farmlands. Timing his shots to Colourmusic's "You For Leaving Me" was a nice touch and added a lot to the overall feel. He used eMotimo motion control (emotimo.com), Dynamic Perception (dynamicperception.com), and GBDeflicker for parts of the short and it's 20,000 shots. We have been in contact with Justin about his project and told him, "I've lived here all my life, this is the best the city has ever looked." 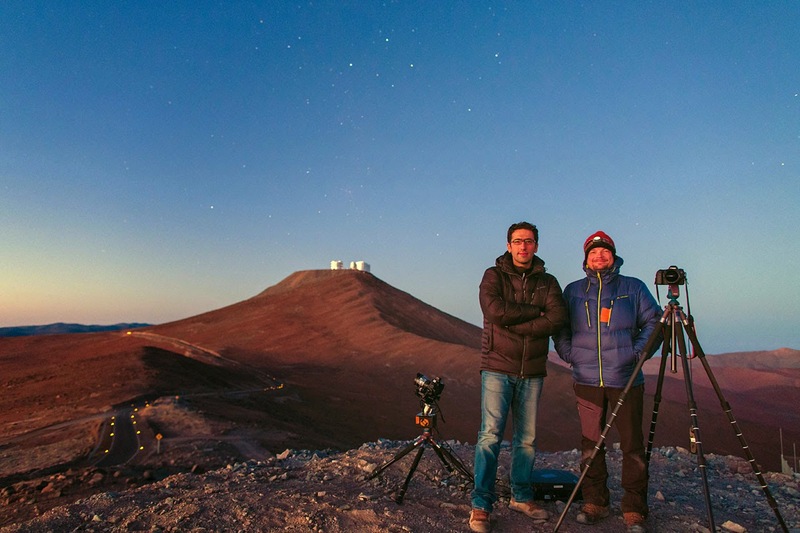 Christoph Malin is a world renown expert on filming the night sky. Chris has been very helpful pushing the limits of GBTimelapse and contributing great ideas to make it better. Wetterumschwung - Weather Change from Christoph Malin on Vimeo. Prior to our ESO Ultra HD Expedition to Chile I am testing all my gear with some new XTPower batteries, also with my GBTimelapse Rig. Goal: So now let's see how much rain this Rig can stand? Not really, but it can take some ;) Good to know the 6D is weather sealed as well as the AFS 14-24 Nikon. Technique: Holy Grail Day to Night to Day Transition controlled by GBTimelapse... Lots of clouds passing by the moon, which would normally cause a bad flicker. Start: 5:57 pm, End 07:08 am (scheduled for 10:00 am, but stopped earlier due to rain and snow). Weather predictions were that in the Morning weather would change from stormy South Winds we had all week, to West Winds bringing Rain below and Snow above 800 m altitude... When I arrived back a the location (somewhere near Innsbruck) it had already started to snow, but due to the aperture still being on f2.8 at 07:00 am (it would later ramp up), one can't see much drops at the end of the Timelapse. as well as computing automatic sunset/sunrise exposure compensation due to given GPS coordinates. Furthermore at the same time GBT sticks to a (ramped) target luminance, while doing automated luminance adjustments. And while active on the set Timelapse program, the software even provides the option of displaying a Timelapse movie preview of all previously taken images of the set, should it be necessary, and even allows parameter adjustments while the TL is active. Try to do all this with an Android device ;) Using a powerful Ultrabook with such an application (don't go less than i5 with GBT!) makes sense, as well as the proven Macbook Air powerhouse, that has served me well from the 5000 m of the Atacama to the peaks of the Alps. Note: AE is able to read out and process ALL XMPs of such a sequence, no only the first image. It is outstanding how accurate GBTimelapse did the automatic luminance adjustment, considering the massive cloud shadow induced flicker. Just check the constant brightness of the moonlit sky against the strong intermittent shadows on the mountain landscape, as well how excellent it coped with the massive ambient light exposure brightness changes during that full moonlight night to clouds and fog in the morning. 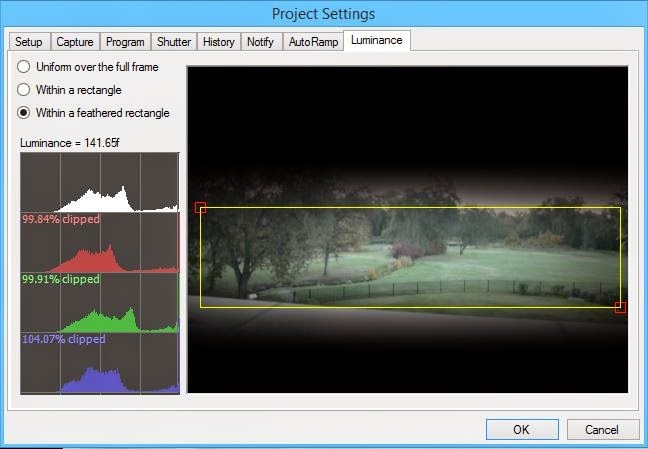 This is excellent automated luminance adjustment leading to an overnight holy grail. One would think that a GBDeflicker run in post could be necessary upon such cloud flicker, but no, it wasn't. 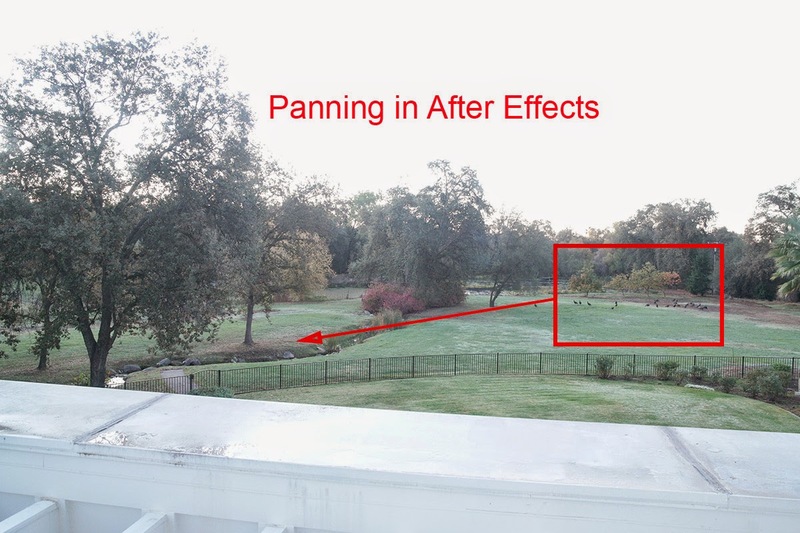 Due to GBTimelapse's on-the-fly luminance adjustment no Ramping/Leveling or other additional processing was necessary. Just grab the Angeldisk SSD, and start your processing workflow. What the Emotimo is missing a bit is better fitting Rain- or Neopren-Cover, than my DIY backpack cover solution. Need to do that soon. Announcing GBDeflicker3 plugin with new features! If you purchased GBDeflicker2 between December 1, 2013 and January 24, 2014, please contact us here for a free upgrade. If you would like one license for multiple computers, ask here about special site-license pricing. If you already have GBDeflicker3, please download and install the latest version (Mac 3.0.10 or Windows 3.0.10) which has a fix for a persistent trial watermark.